What is a Digital Printing? 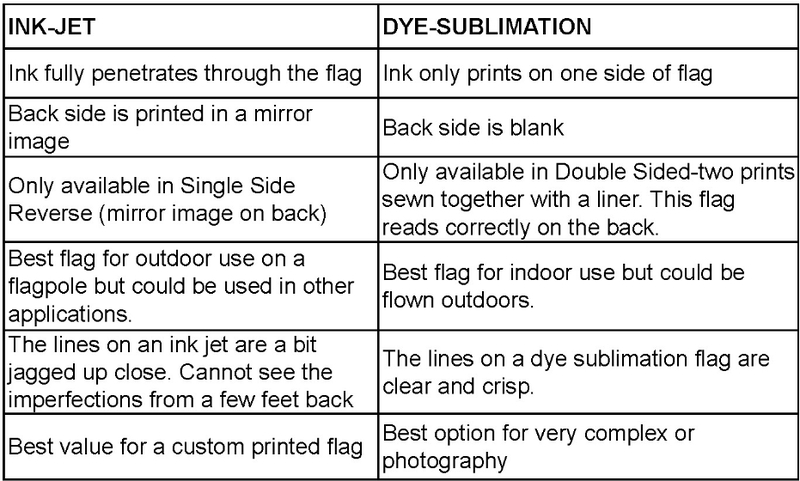 The most common process used today to produce Custom Flags is Digital Printing. This high tech printing technology allows flags to be produced in 4-color process that allows us to provide flags with complex designs, unlimited colors that are very affordable. Our art department digitizes your design to a file that is made up of lines and curves. This is called vectored art. 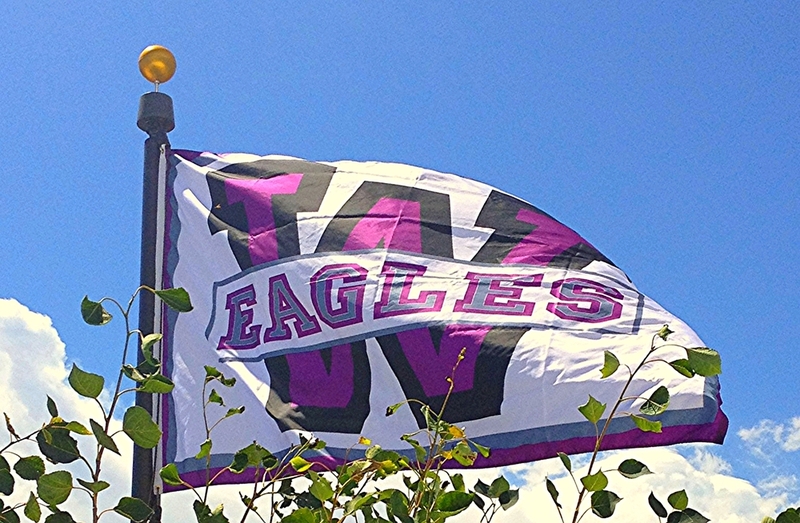 If a file is not vectored art, it will print your custom flag in a pixelated format. Vectored art allows for your art to be high-resolution for what ever size flag is printed. Your vectored art is printed on high-quality nylon material and then cut and edges are sewn to size. 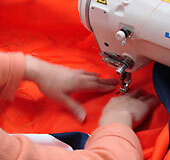 Our sewing department then finishes your flag with a header and grommet, or a pole sleeve. Other custom finished feature are available. Is Digital Printing right for me? Digital Printing is the most popular method and price conscious choice. This method of printing works with well with flags that have little or no lettering. The design is reversed on the back-side of the flag If your design has lettering, most people do make the adjustment naturally when looking at the back-side of the flag. Digital Printing is a great method to choose for corporate logo flags, police and fire training class flags, school/organizational banners, personal boat pennants, and more. All files must be vector! This means that the files must be comprised of outlines and not pixels. All lettering within the files must be converted to outlines also so as to avoid unwanted font substitution. Acceptable file types include: .ai, .plt, .pdf, and most .eps files.